I have a fourth block done for my Rainbow Dear Jane. 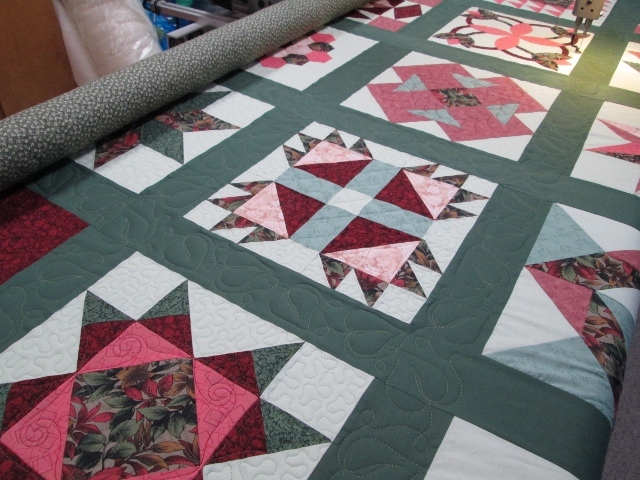 I did traditional piecing for it but had considered some kind of Paper Piecing but there were just to many units. I think I did pretty good with this block. I was forever measuring and trimming. I have a few more pink blocks to finish up before the end of the month. 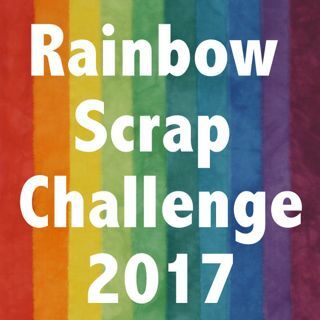 Then on the weekend we will see what colour is for February. I am machine quilting this sampler for a customer. I forget how much sampler take to quilt. Forever changing threads and designs. I hope to get it done soon, it is turning out really nice. So that what I am working on this week. 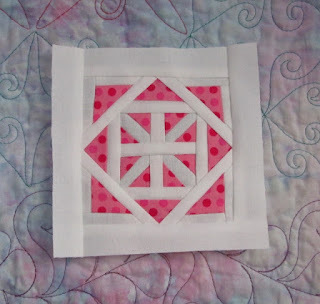 I have added today's post to Freshly Pieced WIP Wednesday and Canadian Needle and Thread Network. 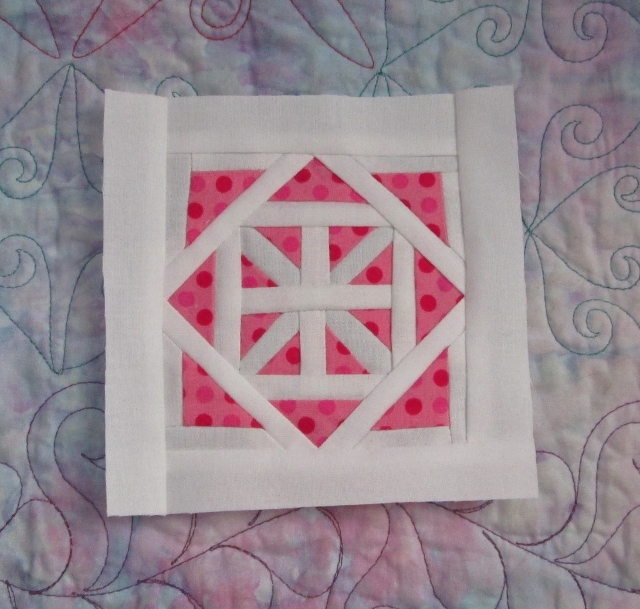 block number 4 is a little cutie...is that is allowed to call a quilt block. You do great work Cathy, I am totally impressed. And great work and confessional on the time and effort it takes to LAQ a sampler...and that is why your work always show so beautifully. I admire you for taking on a whole Dear Jane. I don't think that I would ever have the patience for that. That block looks really good! The pink dots with the crisp white is lovely. If I were to make it, I would go with paper piecing, but I also am a huge fan of paper piecing. I love that block!I am nowhere near precise enough yet to make something that intricate. Well done! You did awesome! This is a tough one. I love that block! That's going to look fabulous in all different colours. What a beautiful block, I agree that I can see it as paper piecing....it must have taken some time to make.....and patience! Wow! You did a great job on your block. It looks amazing. oh, dear! That's a pretty precise Jane! nicely done. You certainly are a patient lady, and work very well. Love your Jane block! The pink and white look fabulous.